ADJUSTABLE WARMTH. COVERAGE FROM THE ELEMENTS. 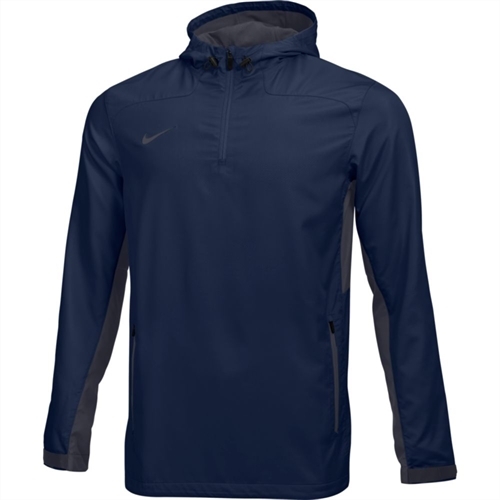 Stay covered when training outdoors with the Men's Nike Stock Training Jacket. Its water-repellent finish provides coverage from the elements, while the 1/4-length zipper allows for adjustable warmth. DWR (durable, water-repellent) finish helps shield you from the elements. 1/4-length zipper for enhanced coverage and adjustable warmth. Two front pockets for small-item storage. Our Nike Stock 1/4 Zip Woven Jacket is made with a water-repellent finish which provides coverage from the elements, while the 1/4-length zipper allows for adjustable warmth.